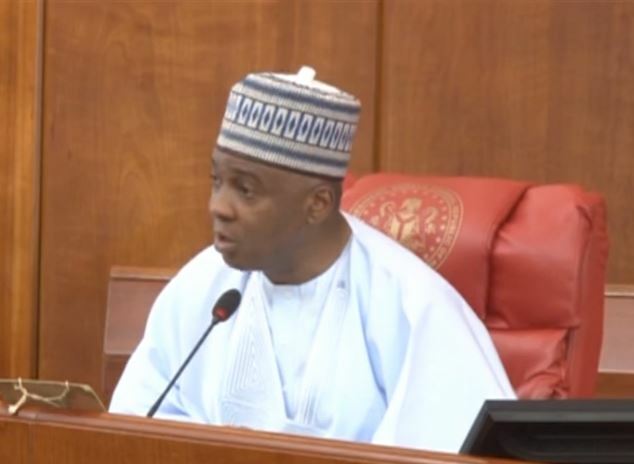 The senate considered clause by clause the report of the committee of banking, insurance and other financial institution on the bankruptcy and insolvency bill at a committee of the whole. A lot of time was dedicated to children at the preliminary as senators took turns to make contributions on child related issues. These follow a motion on the 2016 children’s day celebration moved by Senator Oloremi Tinubu from Lagos state and eight others. Senator Tinubu say a proper system of education and good health care delivery are indispensable towards making the Nigerian child relevant in the global context. The Deputy Senate President, Senator Ike Ekweremadu say the children remains the future of the Nation, its only important there are well taken care off. From discussing children in the chamber, Senate President and some Senator hosted school children led by the Permanent Secretary Ministry of Women Affairs, Binta Adamu. The Senate President also received a group of former African President under the auspices of champions for HIV free generation to advocate more collaboration against HIV aids in Nigeria.